The Mellor Orions have been specifically configured to provide optimum functionality and comfort for the Council’s adult social care programme. This vehicle features an ultra-flat low-floor and wide wheelchair accessible side and rear entrances with fold-out ramp, for ease of access for passengers with all abilities. The bus has the capacity to carry up to 16 passengers at a time, which is ideal for local services such as those provided by the Council. 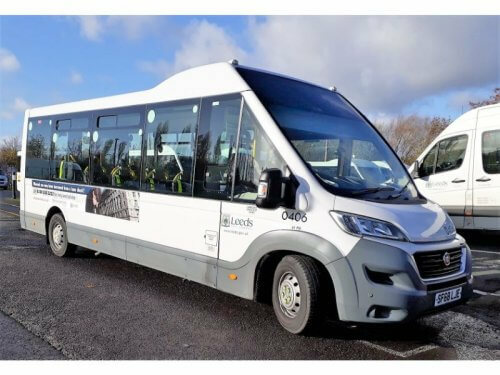 Carl Snowden, General Manager Fleet Services at Leeds City Council, said: “We had a demo of the Orion and really liked the look and feel of the bus. The Orion complied with the technical specification of the tender requirements from the Council. Jane Dransfield, Area Sales Manager for Mellor, said: “We are delighted that Leeds City Council has returned to us for this significant order. The 15 vehicles with ultra-flat floors are perfect for adult social care where the passengers have a variety of needs including vehicle access.